We believe that God makes all things possible. 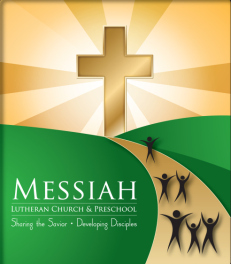 We live a faith-filled life including being the co-chairs of Families Moving Forward at Messiah Lutheran Church, a ministry serving the homeless. God sent His Son, Jesus Christ, into this world to live, die and rise again for us so that we might be forgiven. Faith in that Savior motivates us to share that good news with our friends, our families and our community. Secondly, we strive to grow and help others to grow in following the Savior. Families Moving Forward is a program that offers families experiencing homelessness hospitality, emergency shelter and a path to home with support for stability. Volunteers from more than 40 congregations throughout the Twin Cities metro area create shelter space at their congregation sites. In addition to a safe place to sleep and a warm meal, volunteers share kindness and compassion with families experiencing homelessness. Completing the circle of support, Beacon Services professional staff works closely with each family to address their unique barriers to stability so they may leave the shelter program for permanent housing. The Bible is God's plan of salvation for all people. A plan that moves from the fall into sin, through the cross, to you. That marvelous story is what the Bible is about and "The Plan" reading series is designed to help you walk through what God has done for us one account at a time. "The Plan" does not cover every story in the Bible but when you are done you will have a much better understanding of who you are, who God is, and what He has done for you. There is no better way to grow closer to the Lord than to be in His very Word. Join us in our daily readings. To that end, you can pick up a paper copy of "The Plan" at Messiah or visit the link on the left to download the PDF. Each week's daily readings and audio recordings are also available, along with short videos produced by Lutheran Hour Ministries called "Stuff They Didn't Teach Me in Sunday School". God’s Word is an amazing and wonderful telling of God’s plan of salvation. May He bless you as you grow stronger in Him and His Word. When I was an assistant college basketball coach in Indiana, the leaders in our level of play were coached by Don Meyer. Hear more about this inspiring man of God, who without knowing it, has taught me how to face life with Parkinson's Disease. For a copy of Buster Olney's book about Coach Meyer, click here. What Easter is All About! This song is an American classic written by Leonard Cohen, but Canadian Kelley Mooney's reworking of the lyrics to a more spiritual adaptation than Cohen's makes this an all-world classic. Listen while Kelley takes us through those last hours in the life of Christ and His subsequent rising at Easter. I know you'll be moved. I was. Here is a copy of the lyrics!